OUR PRICE: $94.50 - Join Rewards Get $9 Dance Dollars On This Item! 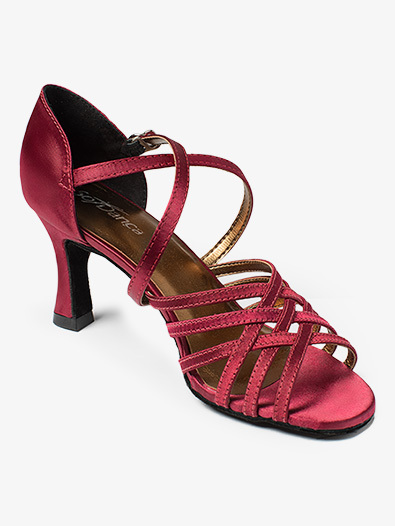 Complete your sassy ballroom ensemble with the "Rachel" ballroom shoes. Features include strappy detail, a satin upper, an elegant rhinestone buckle, and a 2.5 inch heel.